Seel and Co are allowed to hold your data indefinitely whilst under contract either by a management agreement or tenancy agreement with one or more of the following; the Property Owner, your Landlord, your Residents Management Company or Residents Association. The purpose of this is to perform the duties of the contract, tenancy agreement, service charge management, property management and Company secretarial duties where applicable. Please select one or more boxes below before clicking subscribe. We will only use your personal data for relevant lawful purposes as permitted by the EU General Data Protection Regulation / UK Data Protection Act and Privacy of Electronic Communication Regulation. We do not share data with third parties. All data is held securely within the United Kingdom either on Seel and Co premises or by contracted partners such as our payment collection provider. 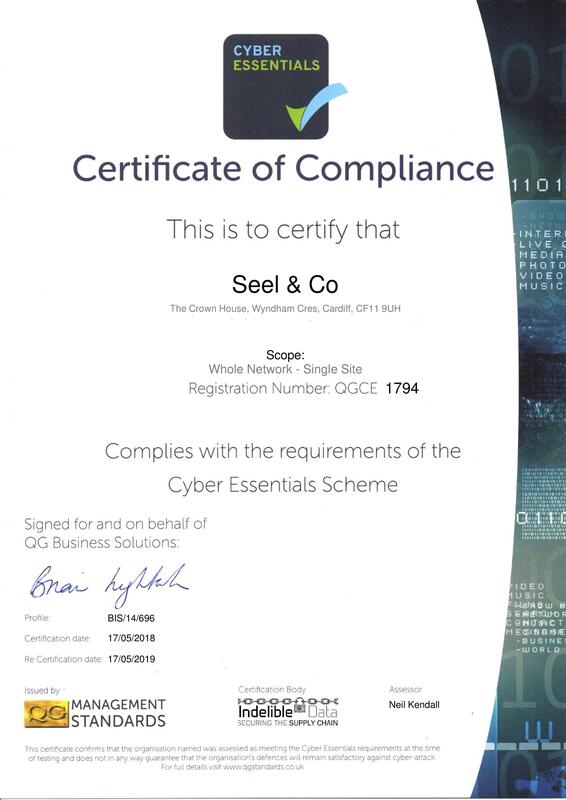 Your privacy is important to us and Seel and Co Limited’s systems are audited by security experts to maintain cyber security. Data accuracy is important and Seel and Co undertake periodic consultation to ensure your details are correct. Should you wish, at some future date, sell your property, cease management or end your tenancy you have the right to instruct us accordingly and we will delete your information.